Charge 2 batteries and 1 remote controller at one time. Batteries or remote contorller are NOT INCLUDED. FlyHi 3-channel charger comes with a built-in intelligent control chip. It can automatically adjust the charging status. 3)It might charge two batteries at same time. PRODUCT SATISFACTION GUARANTEED:The FP-DJ3 comes with a 3-Year International Warranty, and we are dedicated to helping resolve any questions or issues you might have about our product. Note:The Power Charger can't start up with output load (The battery's start up current always is bigger than rated current , the power charger will be over current protection) ! 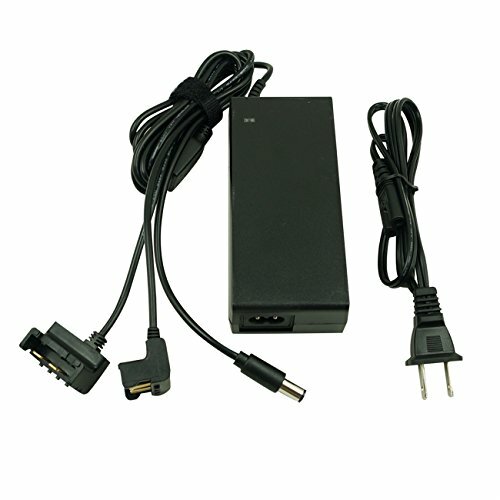 Please let the charger's AC plug connect with power source first , after that let the charging head connect with your batteries , it will work normally If you let the charging head connect with your batteries first , after that let the power charger connect with power source ,the power charger can't start up ! It is not a bad one , and just be over current protection , after waiting one to three minutes , it will be re-work again .